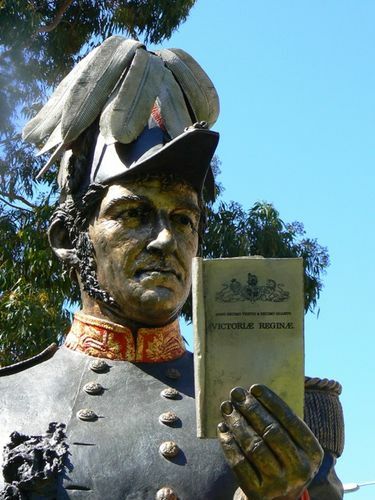 La Trobe Society Fellowship for Australian historians, scholars and writers interested in researching the colonial period of Victoria’s history during Charles Joseph La Trobe’s administration as Superintendent and Lieutenant-Governor (1839-1854). The research may be extended to cover the period immediately before La Trobe’s arrival, or the effects of his tenure after his departure from Victoria. Projects under the State Library's Creative Fellowships Program must make significant and creative use of the collections of State Library Victoria. The Fellowship will be offered for a period of three months full-time or longer if undertaken in a part-time capacity, with a grant of $15,000. Applications close 28 April 2019. La Trobe's Garden City and the Lost Sculptures of Fitzroy Gardens. (3 months, $15,000). Monique investigated how, after his arrival, La Trobe swiftly began to create formalised spaces for appreciating the European heritage. One of the earliest elements of his tenure in Melbourne was to define parklands, with Fitzroy Square, now Fitzroy Gardens, being reserved in 1848. The influence of his ideals is evident in their design and above all in the abundant classical statuary that ornamented the walks. These statues are now lost yet they were not only a defining feature of the early Gardens, but also reveal how the lifestyle of leisure and education that La Trobe envisaged for a settlement where ‘the arts and sciences [were] unborn’ was made part of Melbourne’s fabric. Recovering this sculptural ornament revealed both a lost chapter in Melbourne’s garden history and demonstrate how La Trobe’s ideals informed the city’s cultural and physical landscape. ‘La Trobe's Garden City and the Lost Sculptures of Fitzroy Gardens’, La Trobeana, Vol 18, No 1, March 2019, 8-11. Dr Madonna Grehan, An Émigré Gentlewoman Midwife in Port Phillip and Victoria, 1848-1880. ‘Charles Joseph La Trobe and the Regulation of Everyday Life: implementing the Births, Deaths and Marriages Registration Act in Victoria, 1852-1858’ – AGL Shaw lecture, La Trobeana, Vol 14, No 2, July 2015, 6-15. Podcast. ‘Safely thro’ her Confinement: bearing and rearing babies in nineteenth century Victoria’, La Trobeana, Vol 13, No 3, November 2014, 10-18. La Trobeana, Vol 13, No 3, November 2014, 27-34. ‘Henry Condell: Melbourne’s First Mayor’, La Trobeana, Vol 9, No 1, February 2010, 14-17. La Trobeana, Vol 12, No 1, March 2013, 10-14. ‘The Early Livestock Trade Between Gippsland and Van Diemen's Land: insights from Patrick Coady Buckley's Journal of 1844’, The La Trobe Journal, No.86, December 2010, 23-36. ‘Superintendent La Trobe and the amenability of Aboriginal people to British law 1839-1846’, Provenance: the journal of Public Record Office Victoria, No.8, 2009. ‘La Trobe and the Aboriginal people: a challenging relationship’ - address given at the Australian Club, 7 December 2007, La Trobeana, Vol 7, No 1, February 2008, 7-14.